When reviewing a web hosting provider, I look at a few different things. Of course, pricing is an important factor but besides the price tag, I also check out their features and services, as well as their uptime and reliability, customer support, control panel(s) used, and its pros and cons. When I factor all of these together, I can either recommend them or recommend another web hosting service to my readers. 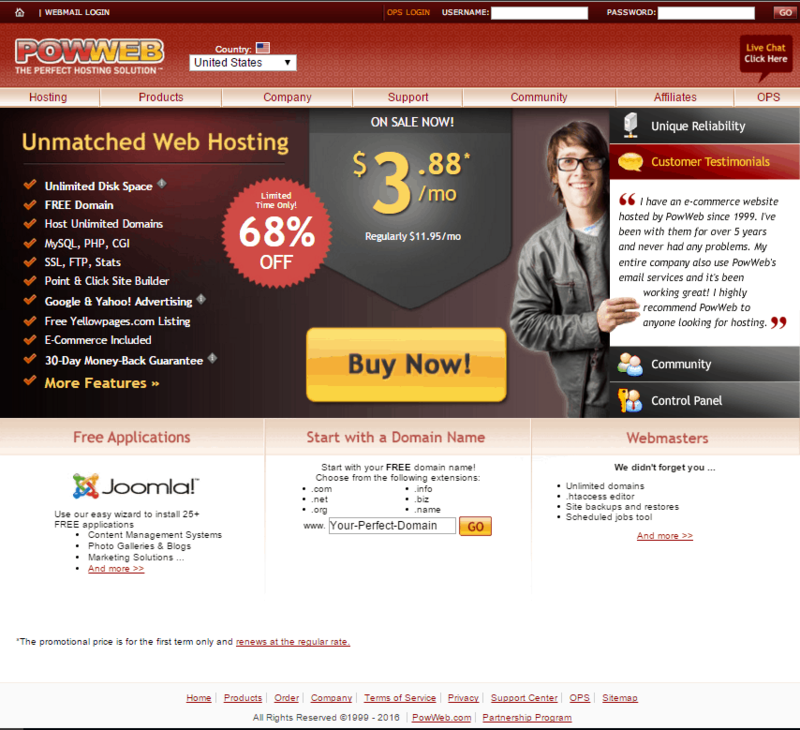 One particular web hosting company I want to introduce to you is PowWeb. This hosting company centers on individuals and businesses that are looking to build simple websites at an affordable rate. They’re one of the very few companies that offer an all-in-one hosting solution, meaning they only have a single hosting package. Many people don’t find this is a problem at all but for those who need plenty of room to grow their business and website, their hosting package may not be a good option. In this PowWeb in-depth review, you’ll see whether or not I recommend them to my readers. Should you go for their “one plan, one price” hosting, or would you be better off choosing a different web host? Let’s find out! PowWeb Web Hosting – What’s Their Story? PowWeb was established in 1999 and has gained a favorable spot in the web hosting industry for providing “low cost” hosting solutions by meeting the needs of small-to-medium scale businesses. The company was later acquired by one of the most powerful companies in the industry, Endurance International Group (EIG). They remain to be a largely independent hosting provider, with many people appreciating the fact that they’re backed by a major company. Nowadays, it’s rare for us to see a web hosting company that stands on their own two feet, and have been in business for over a decade. It’s such a fierce and competitive market, so PowWeb must be doing something right to have survived this long! The company claims to develop their own custom web hosting software and automation that’s especially designed to meet their clients’ needs. Their entire infrastructure is built from the ground-up by their own team of expert developers and programmers. They even own, operate, and manage an entire network and all of their equipment. Unlike a vast majority of today’s web hosting companies that offer a multitude of web hosting options to meet different hosting needs, PowWeb has a one-size-fits-all plan that comes with a long list of features to meet the basic hosting needs of individuals and small business owners. PowWeb offers only one shared hosting plan that mainly caters to those who are looking to build a simple website or blog for personal or commercial purposes. Called the One Plan, One Price plan, this single hosting package is hosted on the Linux platform. They currently don’t have plans to provide Windows hosting so if you’re looking to build a website that requires specific Windows-supported applications like ASP.NET, you’ll have to look for a different hosting provider. From a regular price of $11.95 per month, the One Plan, One Price plan is currently at just $3.88 per month – that’s 68% off! The promotional price is applicable to those who can commit to a 2-year or 3-year plan. You better hurry though, because it looks like this special promo offer is about to end SOON. It’s a generous money-saving opportunity you can’t afford to miss! One Plan, One Price is a simple unlimited-everything plan that offers a free domain name, ability to host unlimited domains, and support for PHP, MySQL, SSL, CGI, and more. You’ll even start off with over $200 worth of marketing tools and credits so you can start promoting your business online right away! The fact that PowWeb only offer a single shared hosting plan makes it extremely easy to see what you’ll be paying for. You can opt to pay on a monthly basis, or save a little bit by paying for a year or more. If you’re just looking for basic hosting and you’re not expecting any additional or hidden charges, you really can’t go wrong with a workable plan like One Plan, One Price. 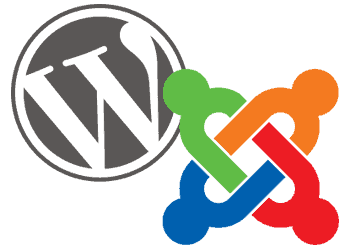 WordPress is the most popular content management system and blogging platform. You’re spoiled for choice with a plethora of beautiful themes and useful plugins, and it’s even SEO-ready. What’s not to love about WordPress? With PowWeb, you can either manually install WordPress from the MOJO Marketplace or add one of their premium WordPress hosting packages to optimize your WordPress hosting experience. There’s a little bit of learning curve if you opt to manually install WordPress but once you learn the ropes, it’ll be smooth-sailing. PowWeb, like many other hosting providers, provide a program that makes it simple and easy to install third-party applications like WordPress, to your hosting account. So if you want to transfer an existing WordPress site or create a new one, you can simply go to the InstallCentral scripts library to install the application to the root to your site or to a sub-directory. If you think the first option is a bit of a hassle, you might want to consider Option #2, which is to purchase a premium WordPress hosting package. With WordPress hosting, you can choose between 2 different plans: WP Starter and WP Essential, which is a perfect combination to PowWeb’s One Plan, One Price. The great thing about opting for premium WordPress hosting is that you get to have a unique hosting environment that’s specifically tailored to growing your WordPress website. With its built-in function and style, you’ll have access to a collection of carefully handpicked WordPress themes to spice up your site. You’ll even be provided with a whole host of pre-installed plugins that you can use to further enhance your site’s functionality. You can access all of these and many other tools from a customized control panel that’s designed for your convenience. Faster Website. With a powerful SSD-based infrastructure and ramped-up servers, your WordPress site will be up to 64% faster. There are fewer customers on each of these servers so expect maximized uptime and frontend speed like no other. High-Level Security. By teaming up with SiteLock’s security experts, you’ll get an advanced security bundle that delivers an added layer of protection to your website. With it, your site will automatically be scanned for malware and any threats will be eliminated in an instant. The security bundle even comes with a firewall that protects your site against issues like comment spam. Access to Expert Support. With WP Essential, you can easily get help with your site from a team of support agents who are trained in all things WordPress. You also have access to a direct phone line so that you’ll get all the help you need in an instant. The problem with their scripts library is that it contains significantly less scripts than Fantastico, which is a bit of a letdown. So if you can’t find your favorite open source application in the list, you might want to look elsewhere. Consider other great alternatives such as BlueHost or iPage. They have an extensive library containing hundreds of popular scripts of all types and purposes. Ability to accept payments. PowWeb give your customers plenty of options to pay for the products you’re selling. This includes credit cards, phone orders, checks, gifts cards, the ever-popular PayPal, and more. Whatever the method your customers select, they should perfectly integrate with your shopping cart. Shopping carts. With a shopping cart software, your customers can easily place the products they choose online into a virtual shopping cart, and then pay for them once they’re done shopping at your online store. PowWeb have plenty of ways for you to set up and integrate a shopping cart into your eCommerce site. It’s easy to add and configure so your customers can start shopping right away. Protect customer information. You can add a Positive SSL Certificate or an Extended Validation SSL Certificate which will help protect your customers’ sensitive information during online transactions. Access to ShopSite. With ShopSite you can create an online store with ease. You can either link to the store from a website you’ve already built, or you can build a brand-new site as a standalone store. This software offers a wide array of tools and features to help you build and manage an online store, including payment, shipment, tax, and order management options. You can build an email list to market your products to customers and prospects, and you can even send automated thank-you notes, among many others! 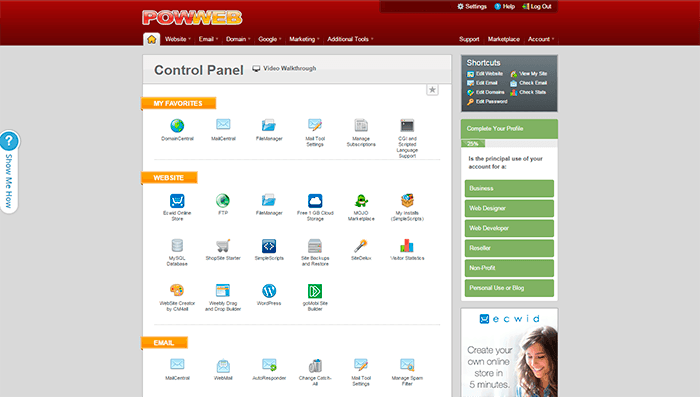 Unlike other web hosting providers, PowWeb provide its own versatile and user-friendly control panel. They don’t use the industry-standard cPanel, so expect a basic-looking control panel that’s only equipped a few tools and options that cater to beginners and allow you to create a simple website for your visitors and customers. While I look the colors used in this custom control panel, it’s not exactly modern-looking. It’s functional and works as expected but if you’re already familiar with control panels like cPanel and Plesk, you’ll find this a little odd because everything is somewhat hidden away in its own category. It does handle most of the basic tasks, from setting up email accounts and registering domain names, to managing your bills. The downside to using a custom control panel like PowWeb’s is the learning curve. You have to familiarize yourself to this type of control panel and if you decide to move to a different web host, you’ll have to learn to use the new control panel again. This is unlike cPanel, which you can easily transfer to other web hosts like BlueHost and iPage, which support the said control panel. You can even back up a cPanel site and restore it to a new cPanel host. Unfortunately, PowWeb no longer offer an online demo to their custom control panel, so you can’t really try it before you decide to buy. Yes, it’s efficient and not too overwhelming but if you plan to use more tools and features other than the ones available in PowWeb’s control panel, you’ll have to pick a different web host altogether and find one that has a more comprehensive control panel. Unfortunately, PowWeb does not offer any uptime guarantee nor is there any mention of their uptime statistics on their page. In fact, there really is not much information about what you can expect, which is a bit of a letdown. On the other hand, I didn’t find a lot of customer complaints regarding outages or lengthy downtimes, which, is a good sign for me. From what I gathered, PowWeb don’t overload their servers, which is the most common problem faced by most shared hosting companies. This indicates that PowWeb’s uptime is likely to be good. Still, it would have been better if PowWeb provide us with uptime history and statistics which not only give clients peace of mind, but also assure them that they’re dealing with a reliable web hosting company. As per information from PowWeb’s website, the company has a data center that’s based in Los Angeles. They also mentioned using Tier 1 backbones and state-of-the-art clustered RAID technology on their Dell web servers, which are “load balanced” to ensure clients won’t experience any downtime during server reboots, hardware failure, or maintenance. 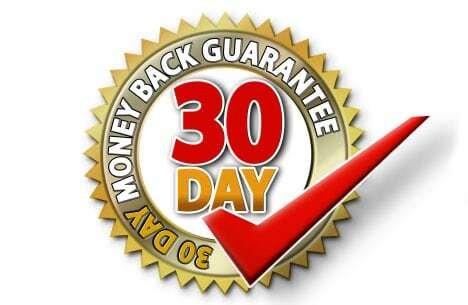 Like many other web hosting providers, PowWeb offer a standard 30-day money-back guarantee that allows you to try their service for the first 30 days. In the event that you’re unsatisfied with their service, you can simply request a refund of your money – no questions asked. And, just like most of their competitors, the refund only applies to hosting, with the exception of domain name registrations and any add-on services. What’s more, the money-back guarantee is only available for credit card payments. You can only cancel after the first 30 days of service, after which you’ll be charged with a minimum of $35 for cancellations done after the 30-day trial. I find their email support to be very effective. I emailed them on a weekday and they were able to respond promptly to my inquiries after just 4 hours. The toll-free US-based phone support is available from Monday to Friday, from 11AM to 4PM PDT. It’s only available to US and Canadian clients so if you’re based overseas, you have to pick other methods to reach a customer representative. Signup was a little difficult so I went to test their live chat support. It took about 6 minutes before someone responded to my inquiry, at which point it reset itself and cut me off. I attempted three more times, with an average wait time of 10 minutes. They seem to have an outsourced support staff handling their live chat support, and I had a few communication issues with it. Eventually, I was able to get the answers I needed. They provided me with a couple of links, all pointing out to guides on setting up an account. Besides the usual support methods, clients can also check PowWeb’s extensive knowledgebase and user guides to learn how to get around with their services. They’re also doing a good job of preparing a lot of FAQs in their site, where you can find lots of solutions to common problems. You can also find some useful tips and tricks like how to use the custom control panel and creating custom error message, among many others. Additionally, PowWeb offer a nice online community forum where clients can find more useful resources from webmasters. It’s a food information gateway where you can meet other PowWeb clients who are willing to help each other out. For me, a web host with an online forum is a good sign because this could mean they’re confident with their services as they allow open discussion between clients. A very active forum with more than 20,000 members also means that they have a well-established business. It all seems great but when I looked for customer feedbacks, I noticed there are a number of complaints regarding customer support. Some clients complained about the lengthy wait times, while other complained about the professionalism of some of the company’s support staff. Overall, however, with a single hosting plan available, you aren’t likely to find the need to contact customer support very often. PowWeb, like many other web hosts in the business, will either meet your needs, in which case they’re a good option, or they won’t. This hosting provider is likely a good option if you’re just looking to host a simple website. You won’t run into a lot of issues, but you can’t really grow your site. It’s like a double-edged sword! So before you decide to purchase their plan or skip and look for a different web host, make sure to check out the pros and cons of using PowWeb. As one of the simplest web hosting options in the industry, there really isn’t a lot to say about PowWeb. They have a single shared hosting package with unlimited data allocation but mostly offers standard features. Obviously, there’s no option to grow your website beyond this hosting platform, but for many people this isn’t a problem at all. There are hundreds of hosting services in the market that offer a variety of hosting plans and features. While they all serve the same primary function, choosing from a plethora of hosting options can be disconcerting. PowWeb fall somewhere in the middle, proving to be a slightly above average web host in virtually every aspect I measured, including features and customer support. Again, PowWeb’s list of features isn’t all that unique and it lacks the advanced functionality I sought. They’ve included a website builder, shared SSL Certificate, advertising credits, and a few eCommerce tools. But if you need more advanced functionality like custom cron jobs, this isn’t the web host for you. If you’re looking for an affordable hosting package that fits your needs and allows you to quickly and easily create a simple website, then PowWeb may have what you’re looking for. But if you’re looking to create a business site that you can improve and grow, they’re probably not your best option. 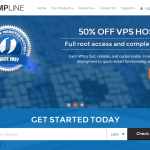 So, should you go for their One Plan, One Price hosting? The answer would be yes, but only if you’re not expecting growth to your business and website. PowWeb deliver a lot of value for their simple and affordable shared hosting plan but expecting much beyond that is unrealistic.